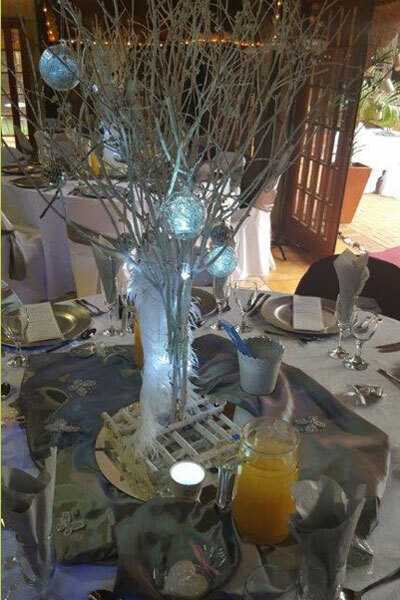 Mon – Fri: 09h00 - 18h00. 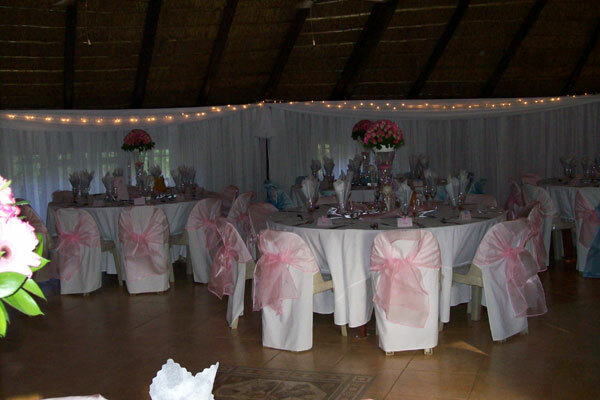 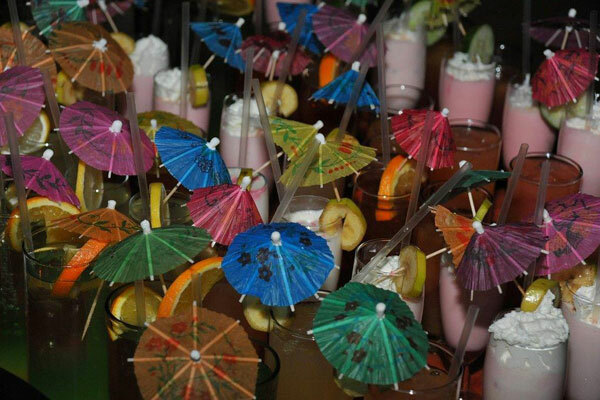 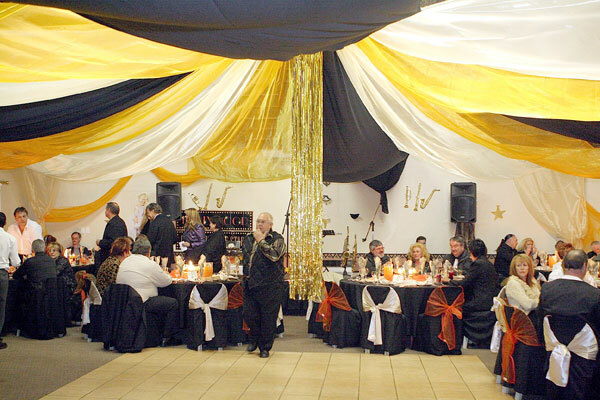 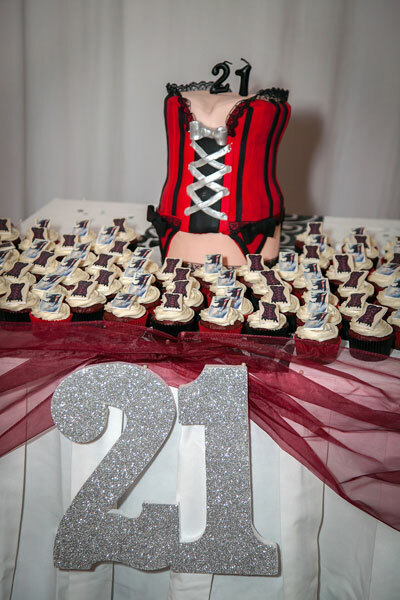 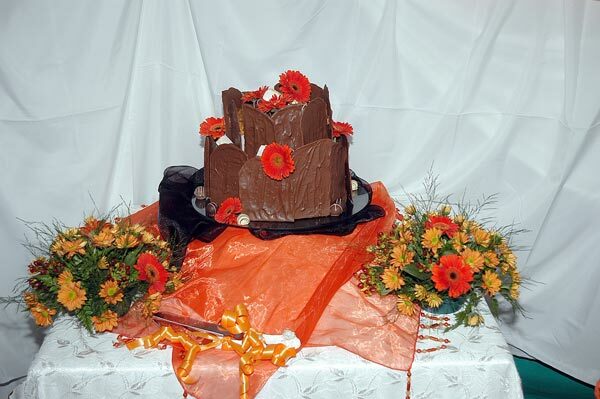 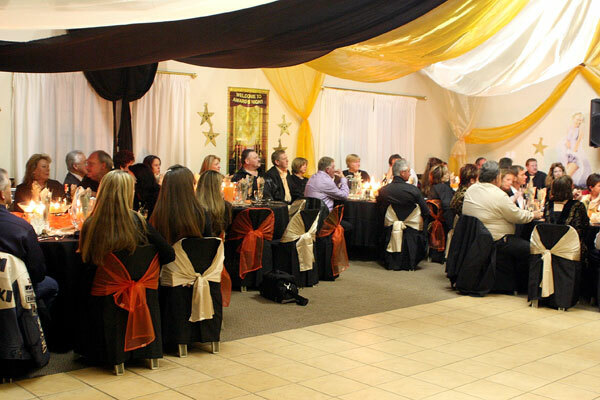 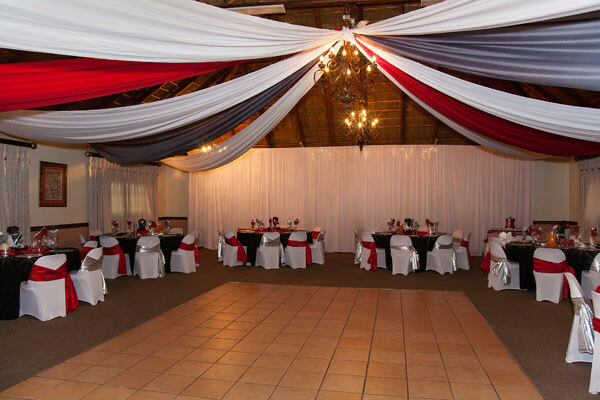 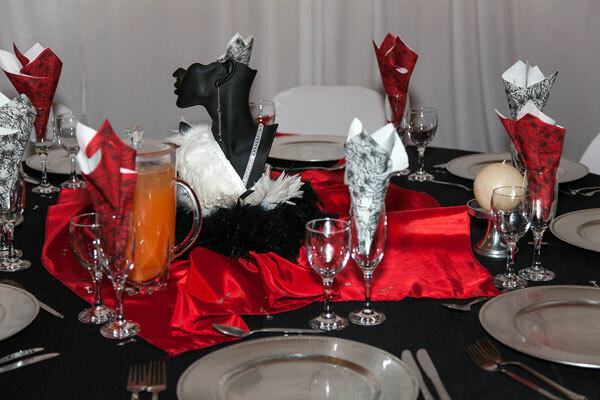 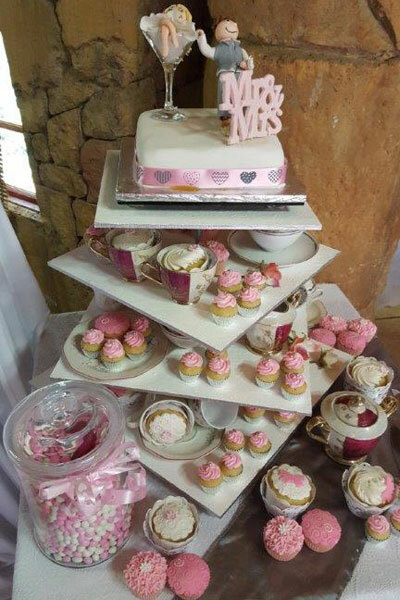 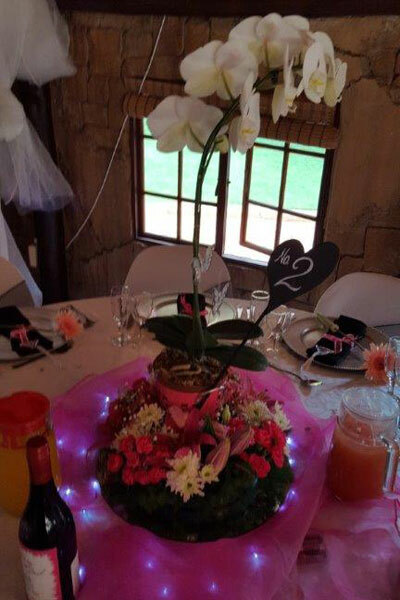 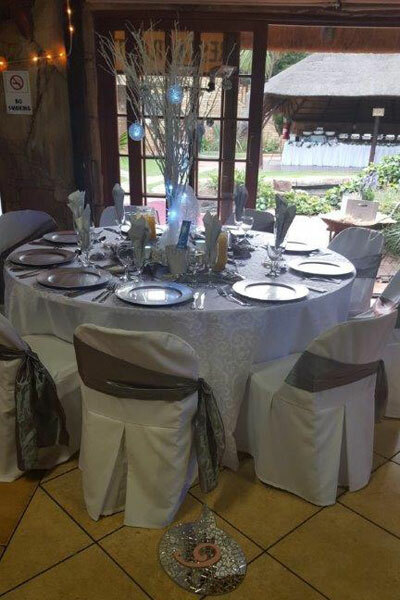 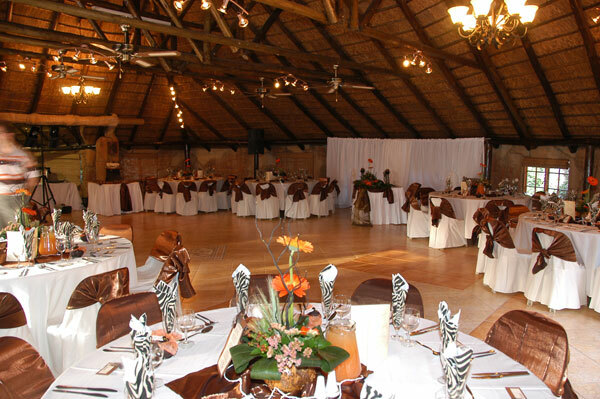 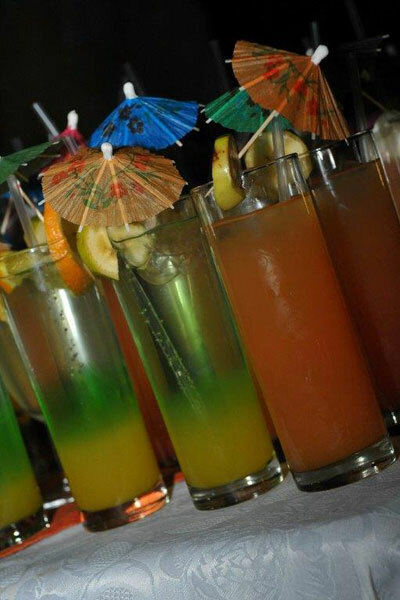 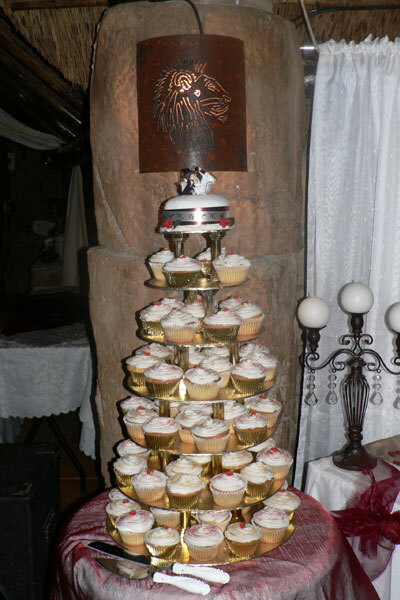 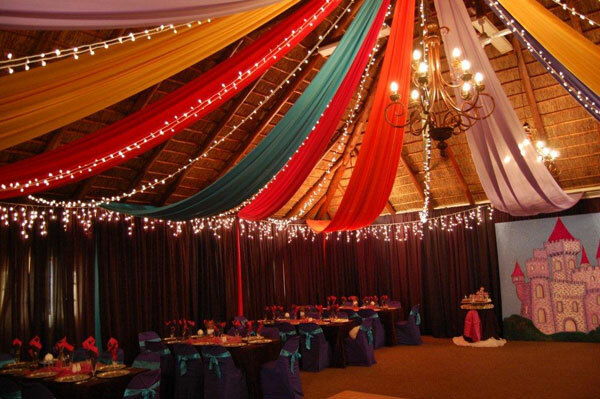 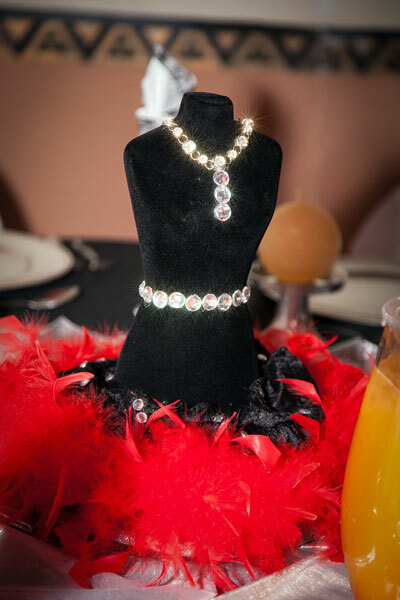 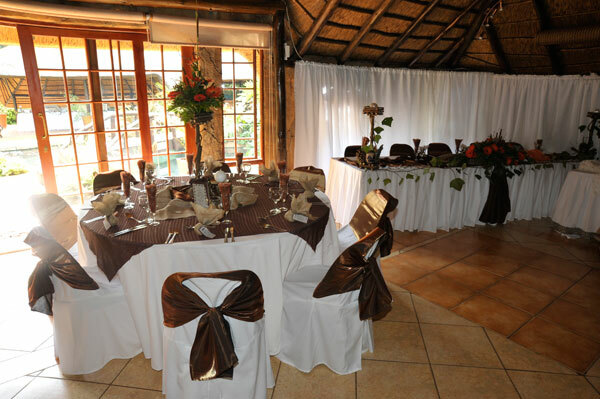 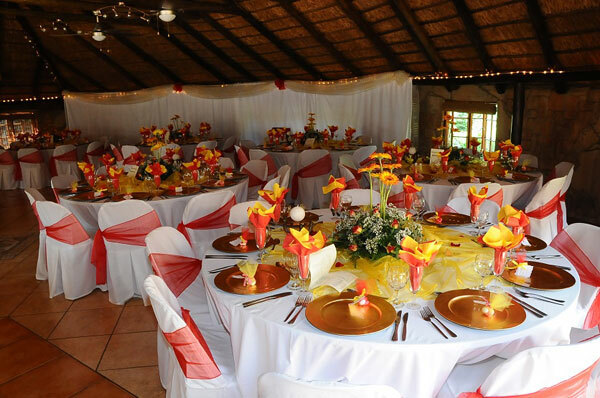 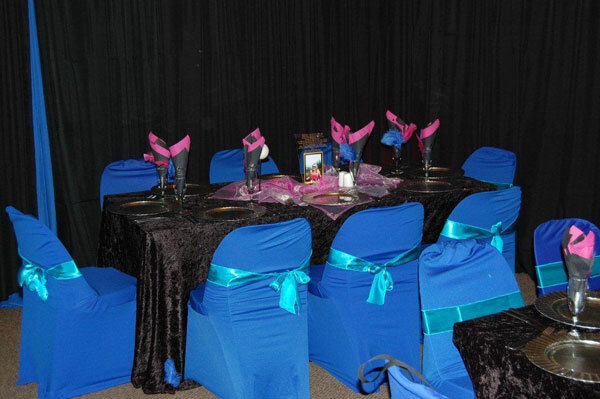 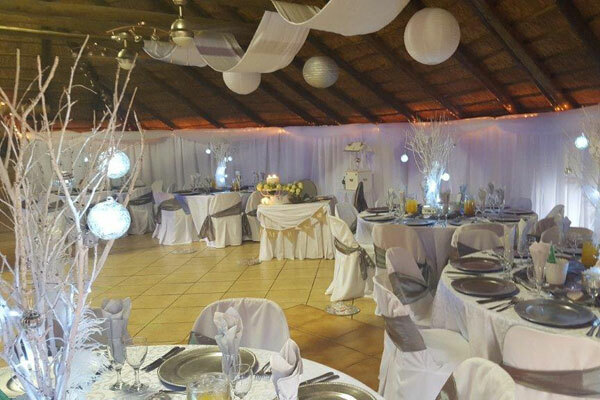 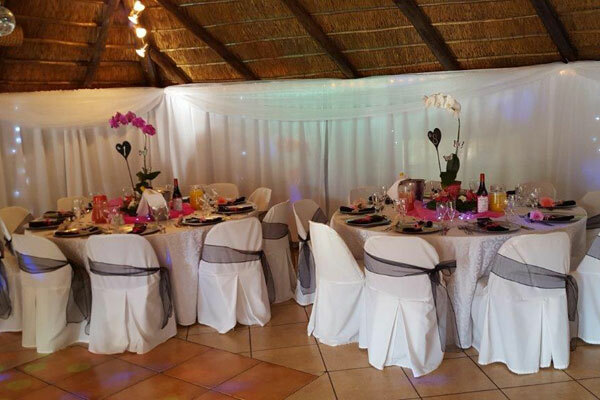 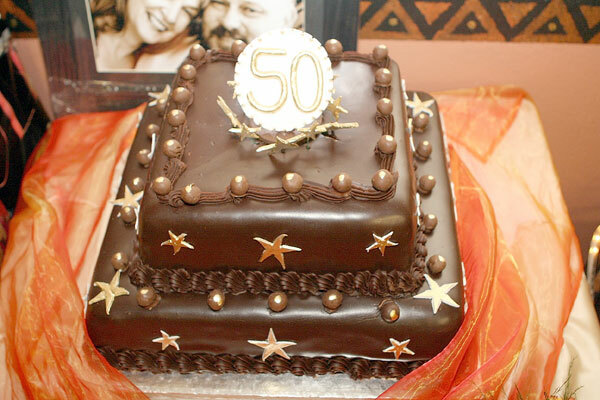 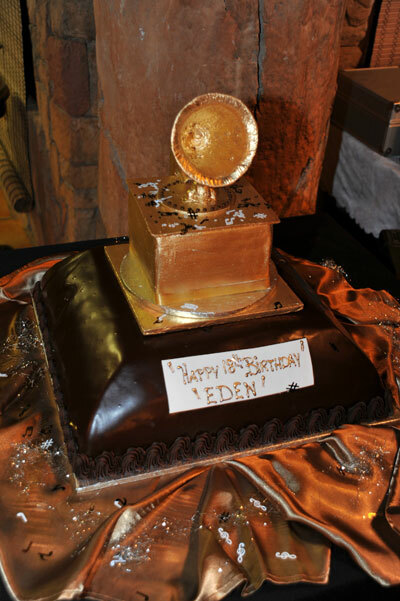 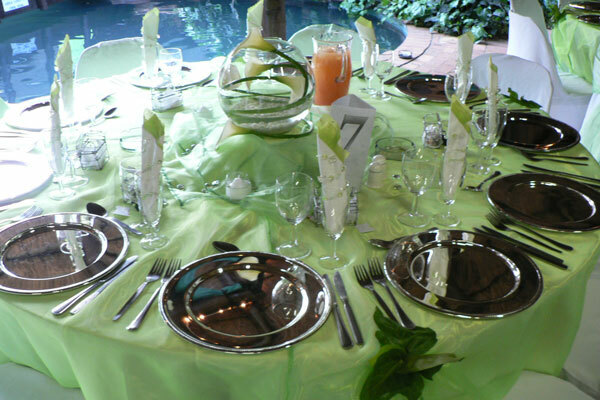 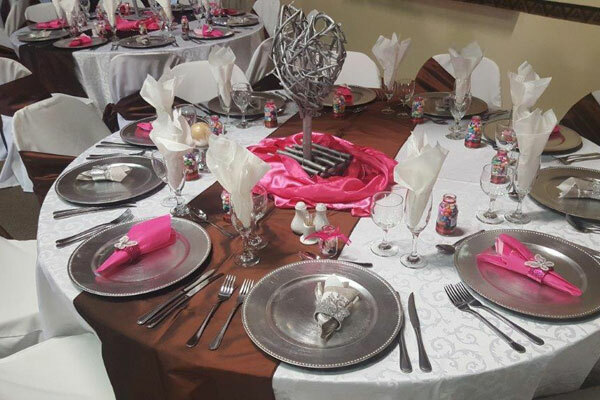 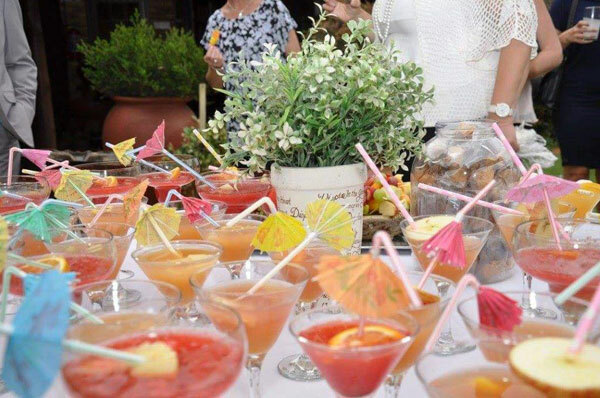 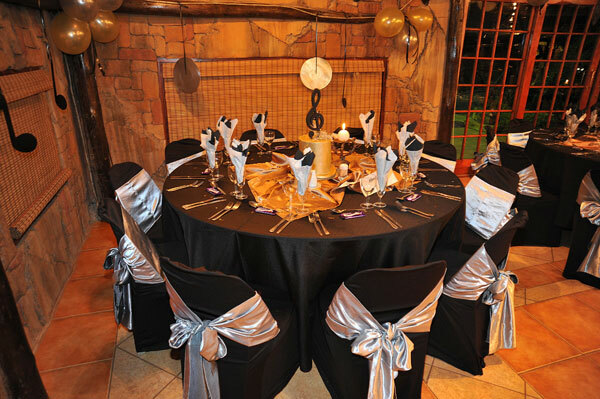 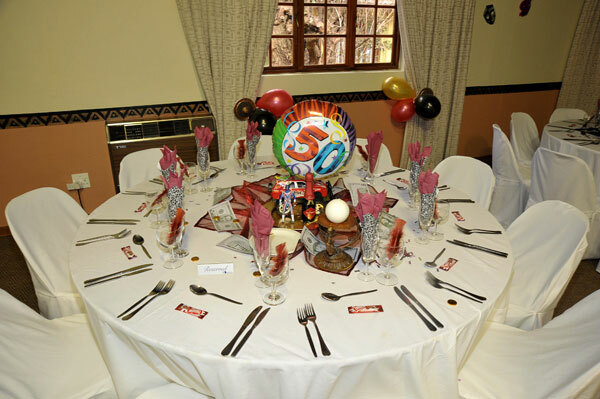 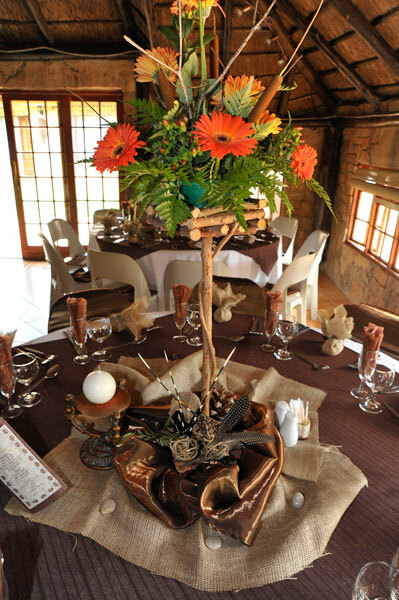 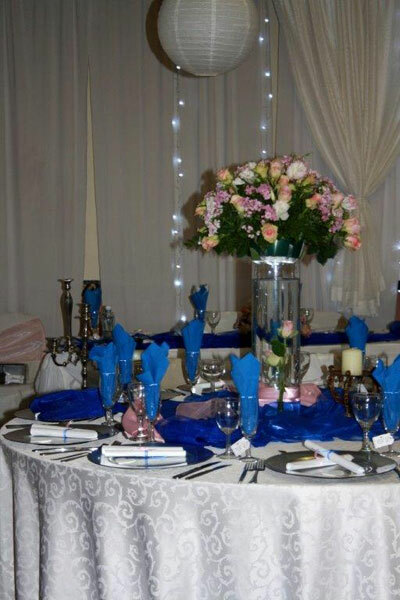 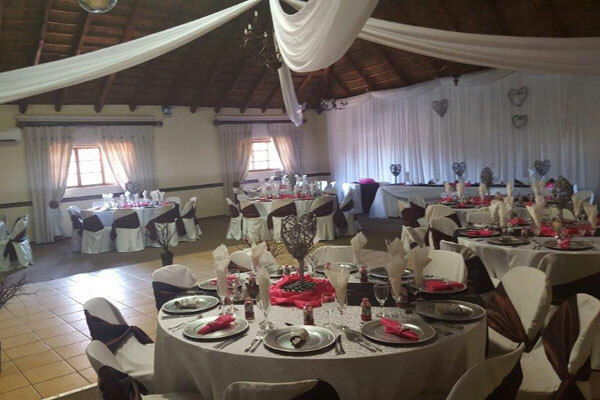 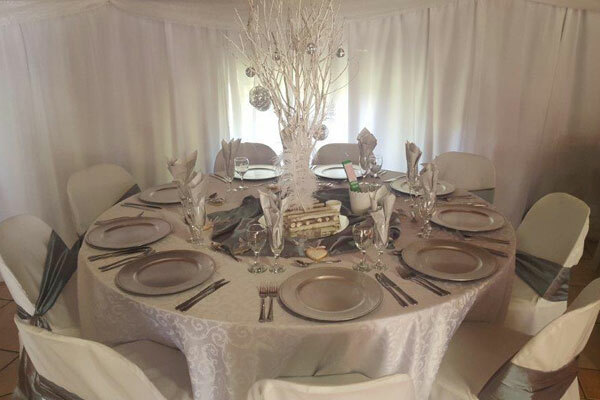 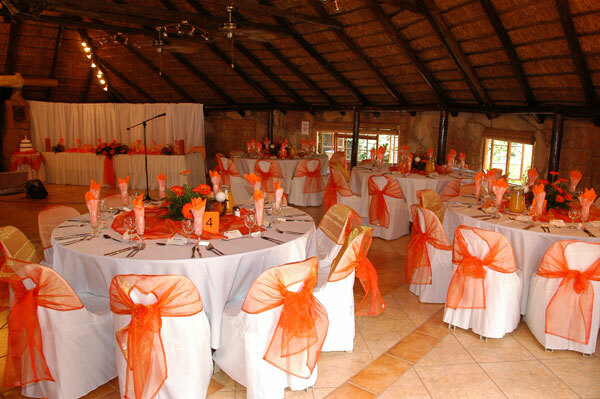 We have arranged numerous functions including company, private, prize giving's, breakfast, yearend functions. 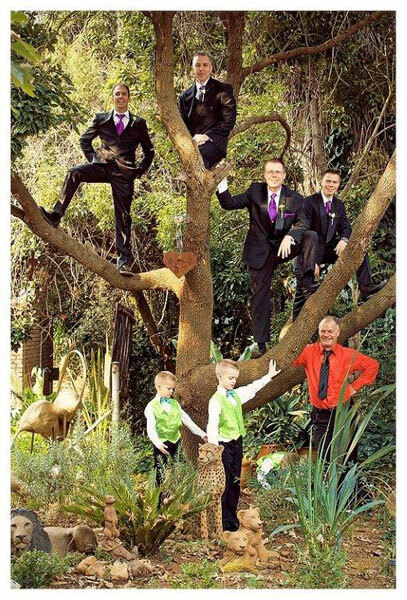 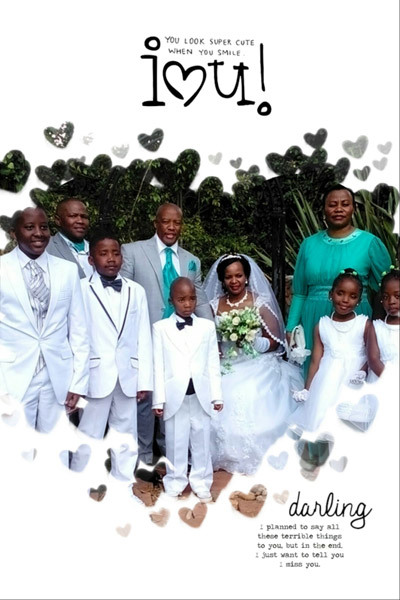 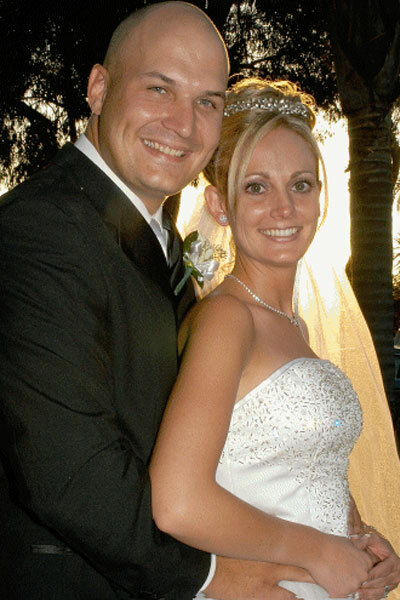 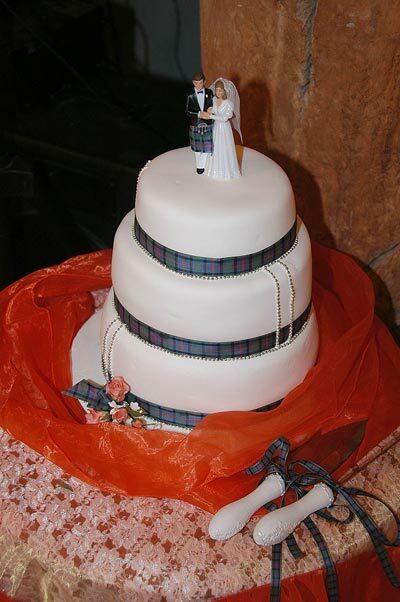 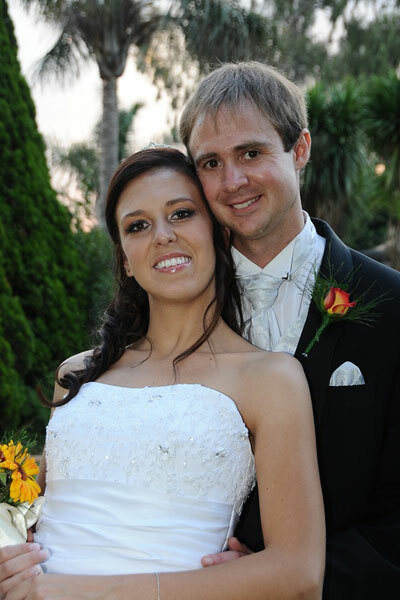 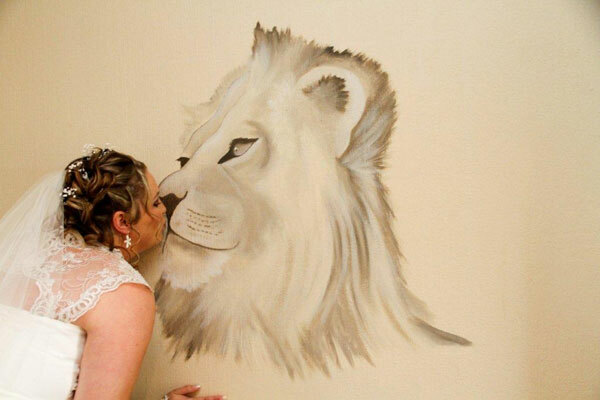 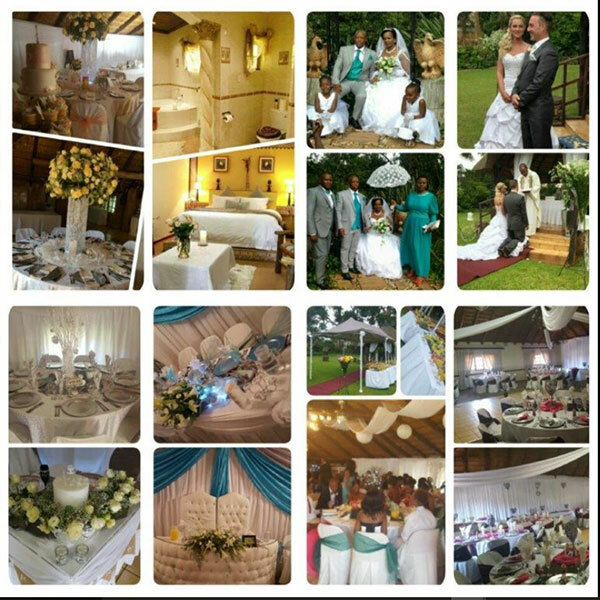 Please refer to our wedding photos on the webpage to get an idea. 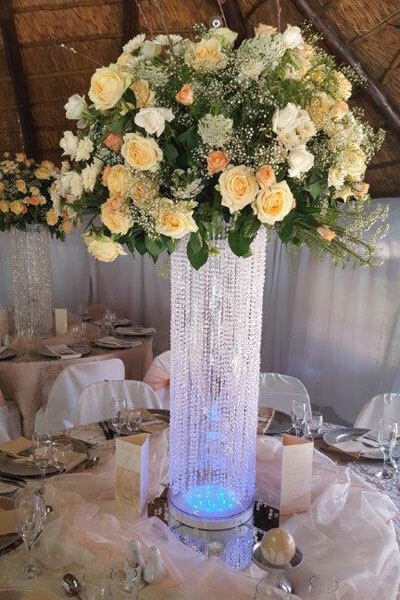 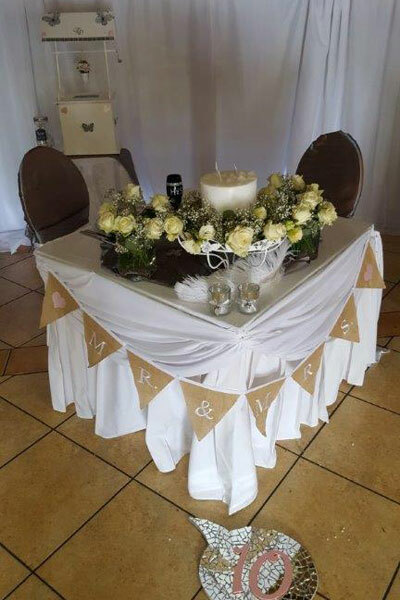 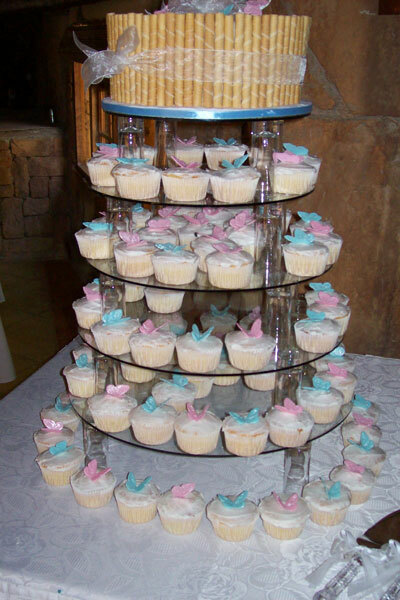 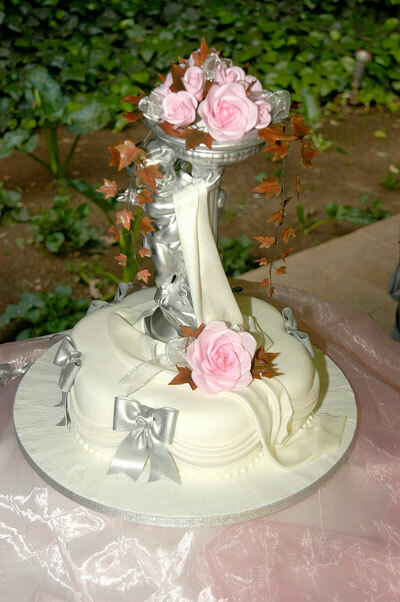 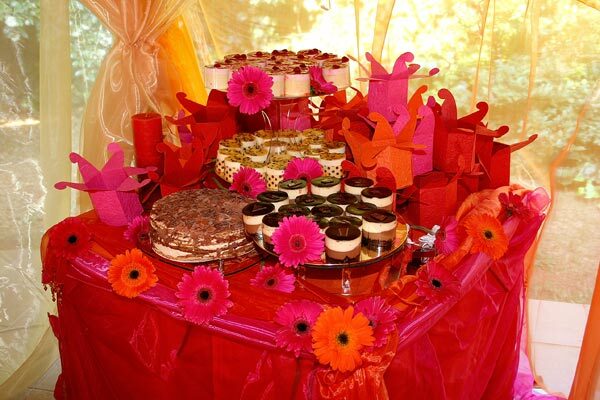 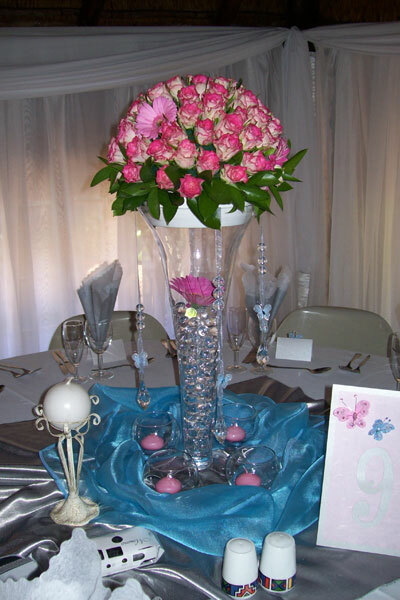 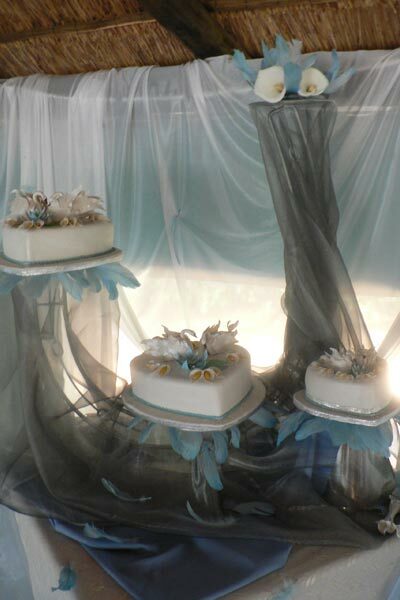 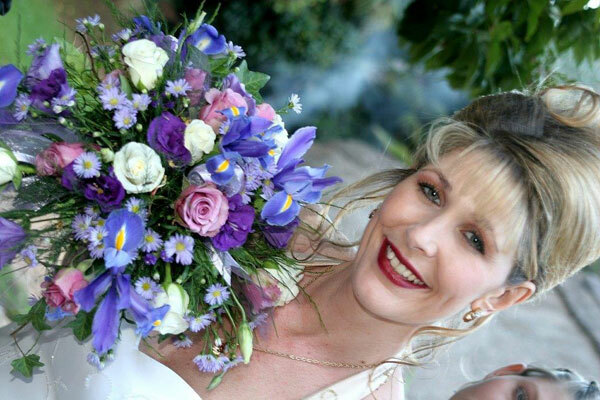 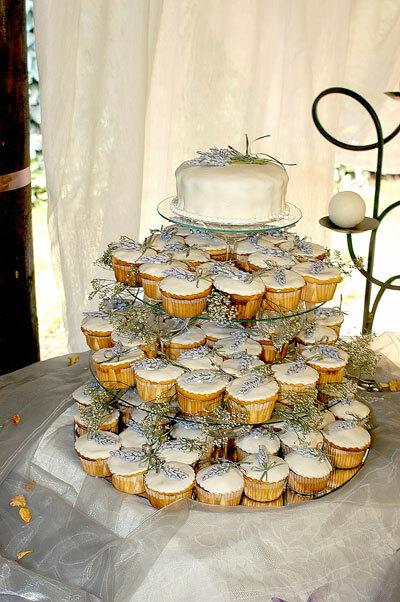 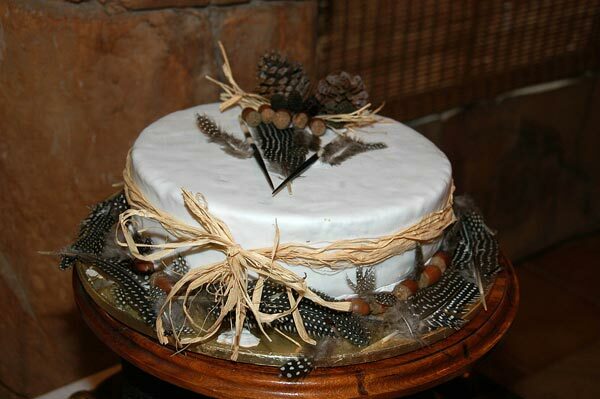 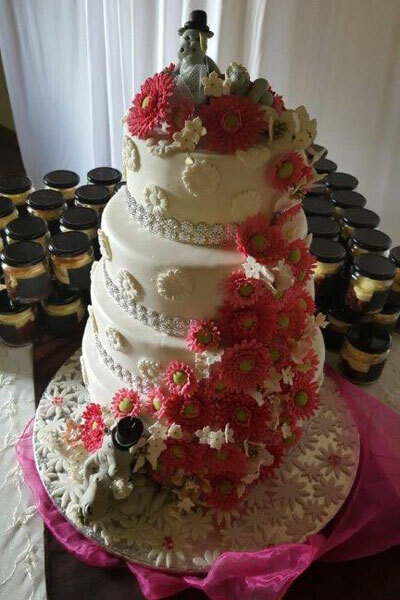 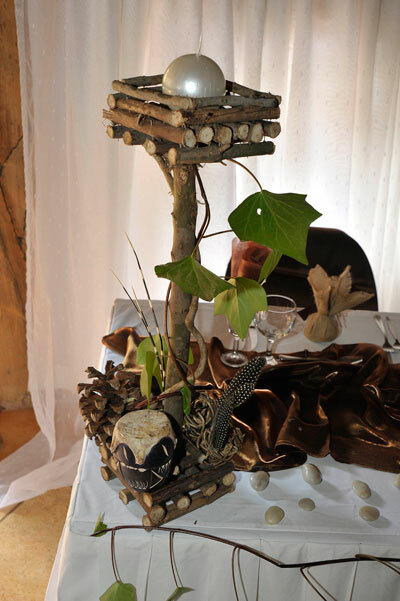 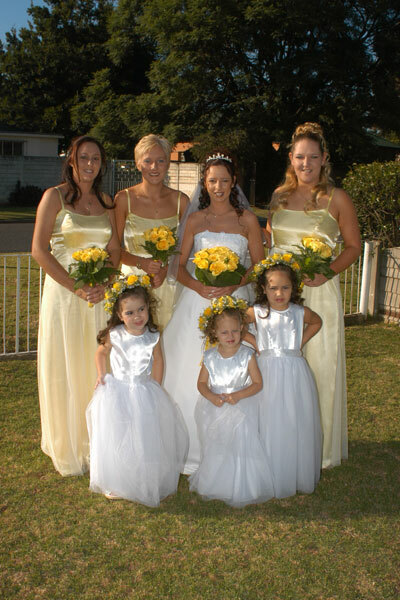 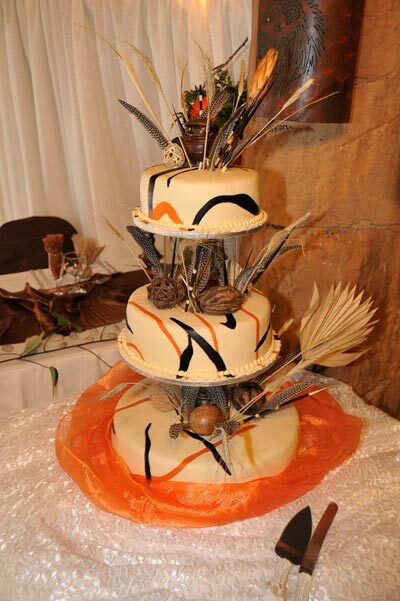 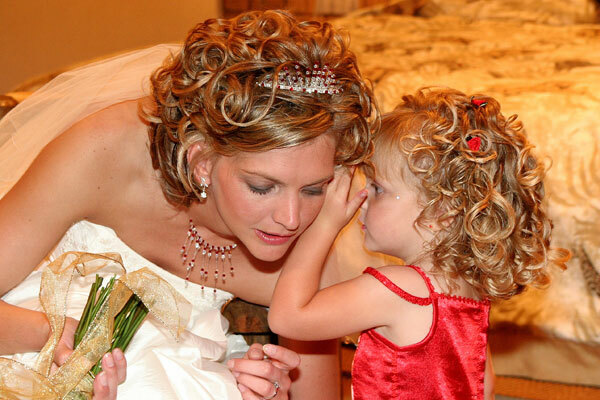 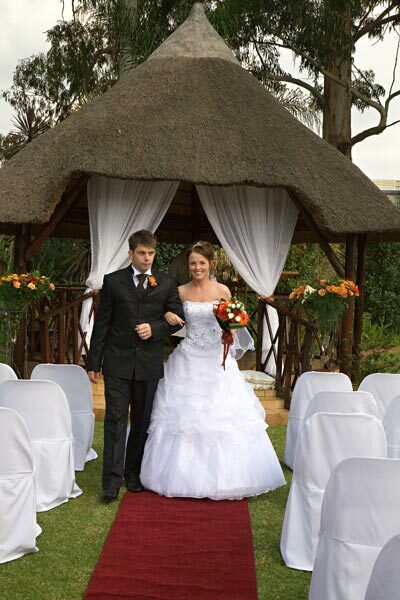 Our services includes the complete setting up of weddings, leaving the bride with very little to do. 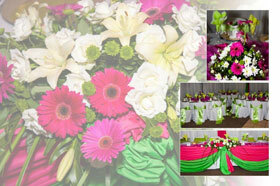 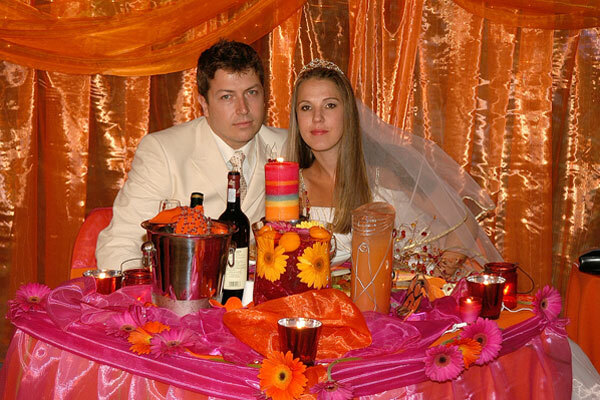 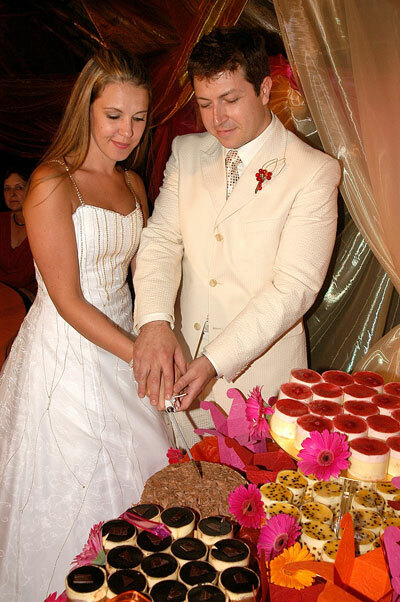 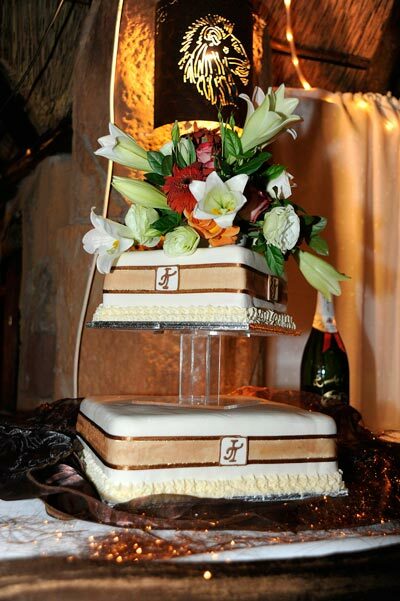 We have fulfilled many Bridal Couples dreams since 1999, with our Professional Events Teams. 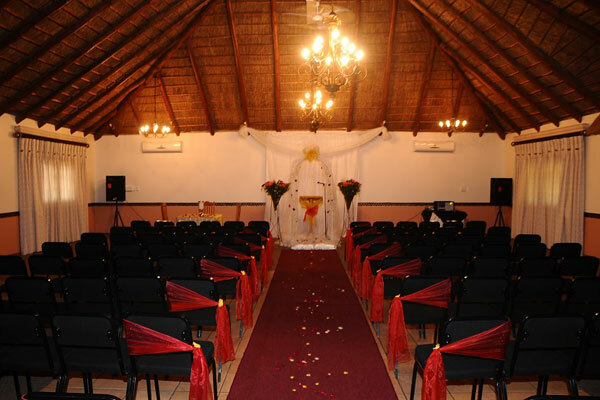 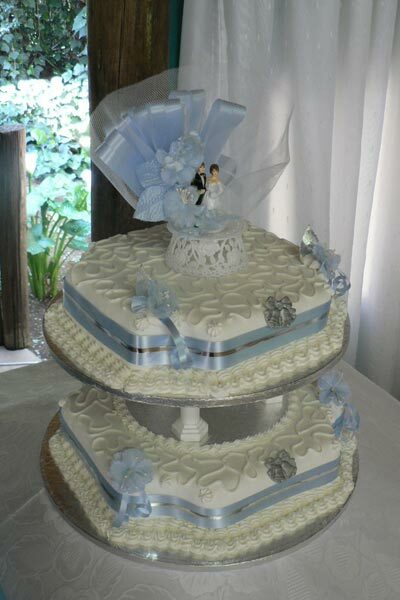 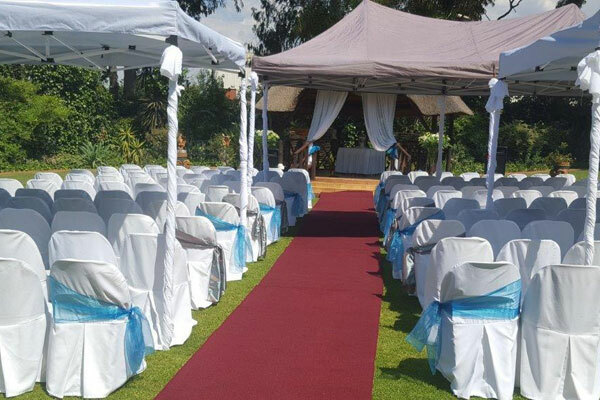 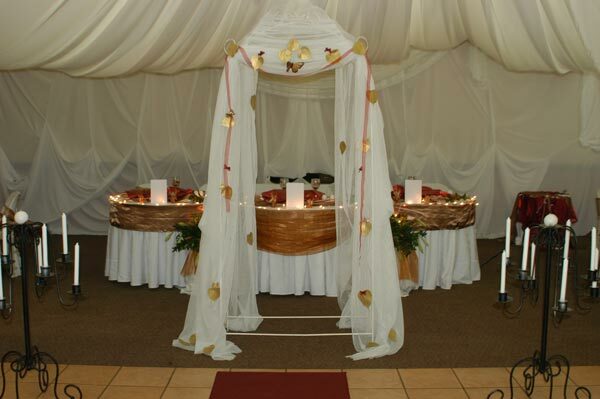 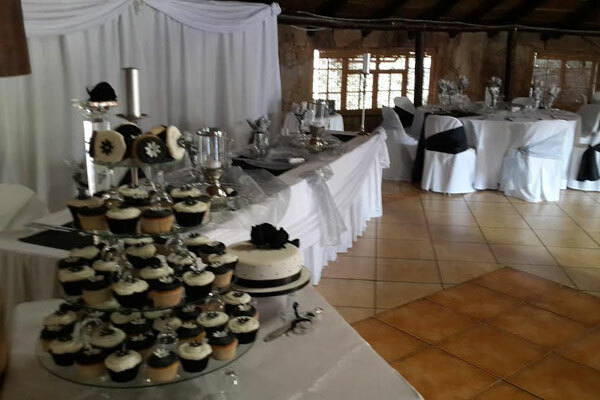 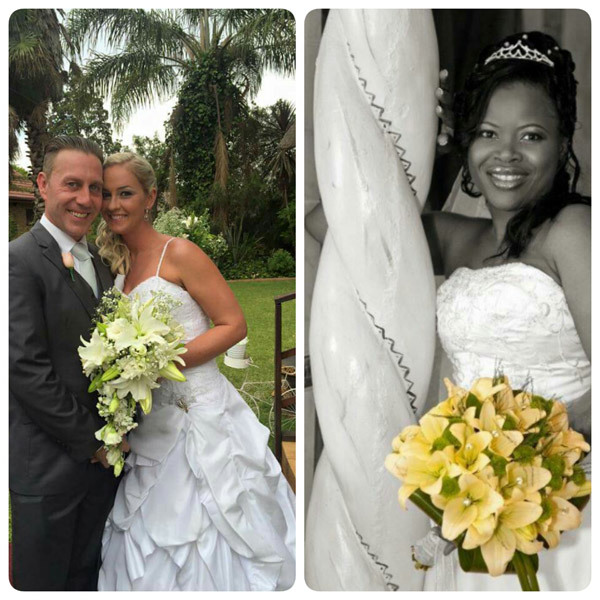 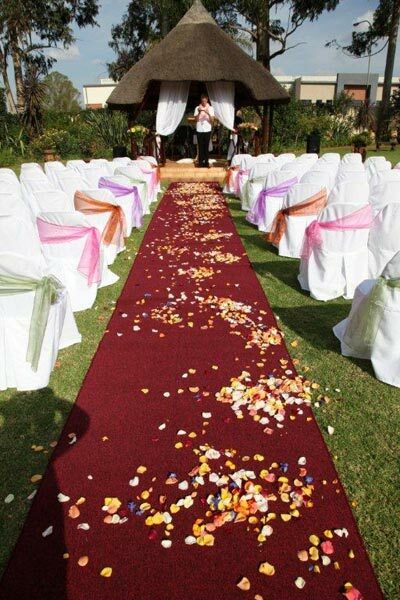 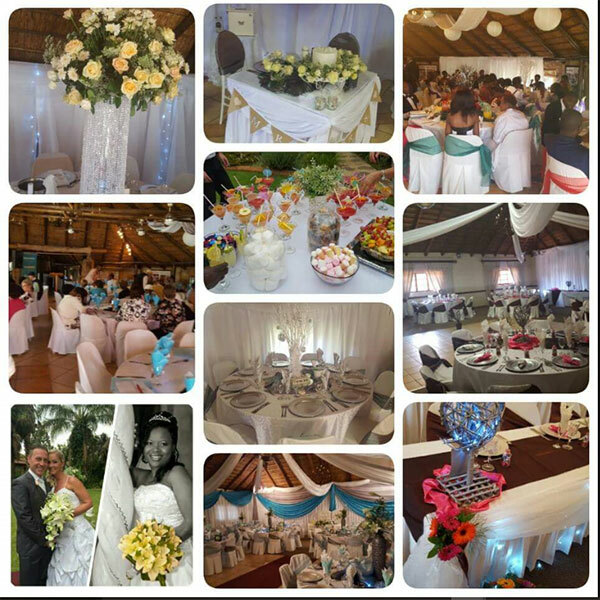 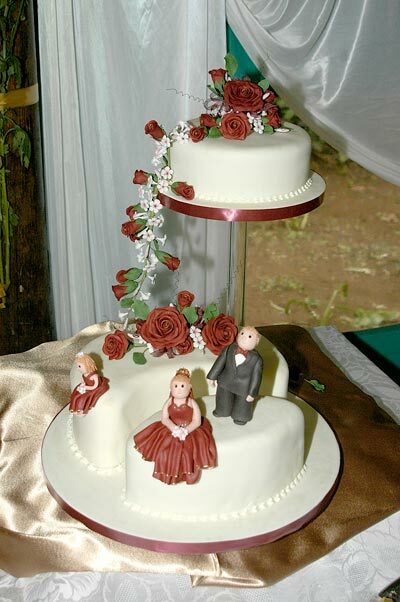 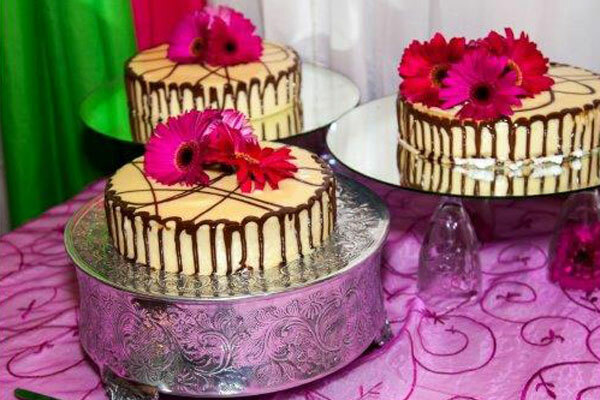 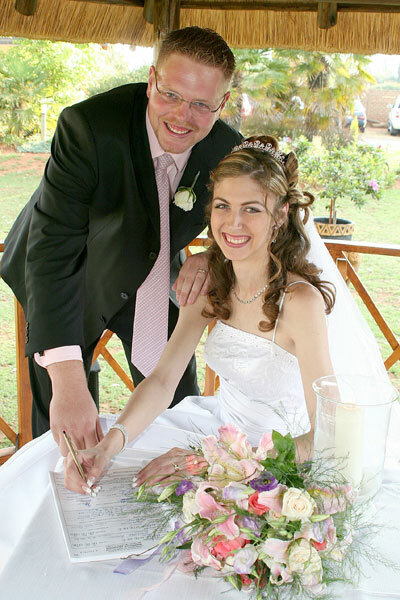 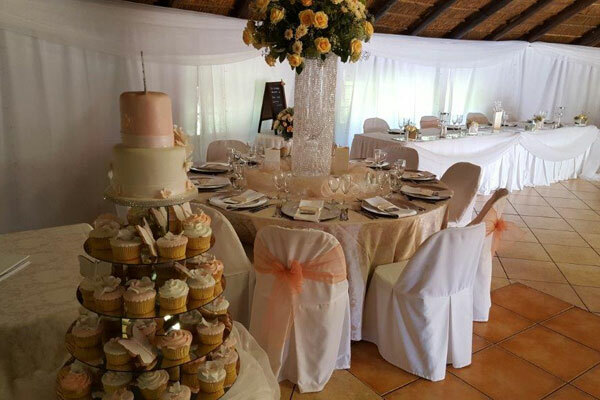 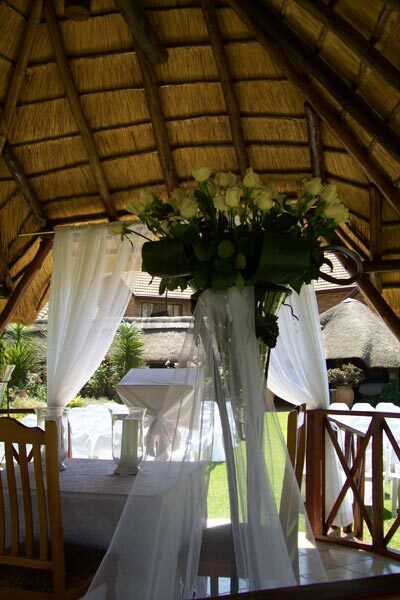 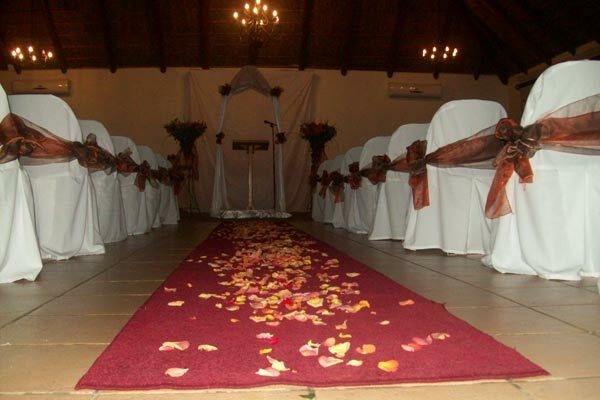 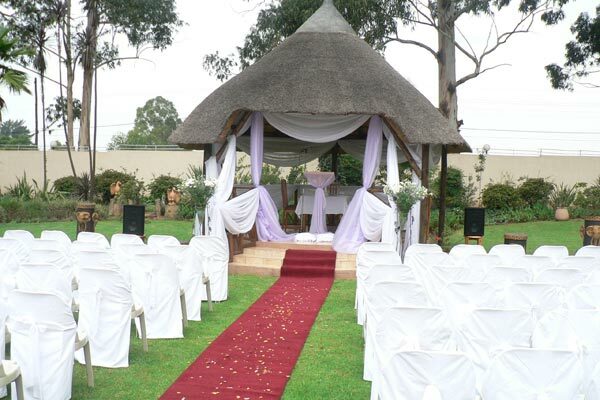 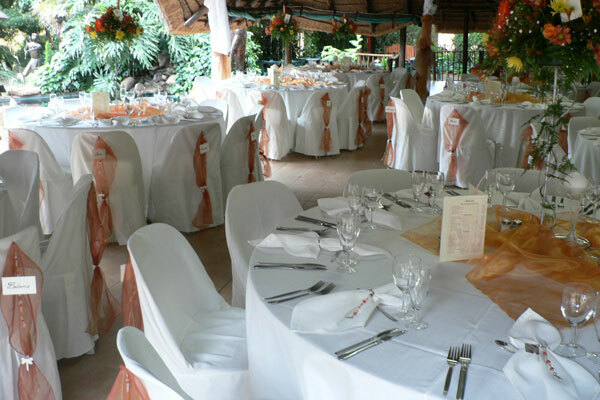 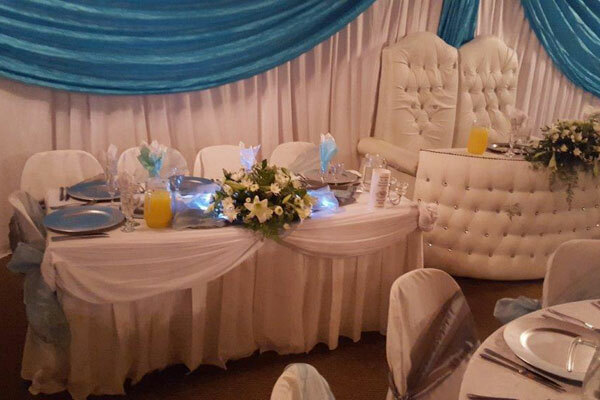 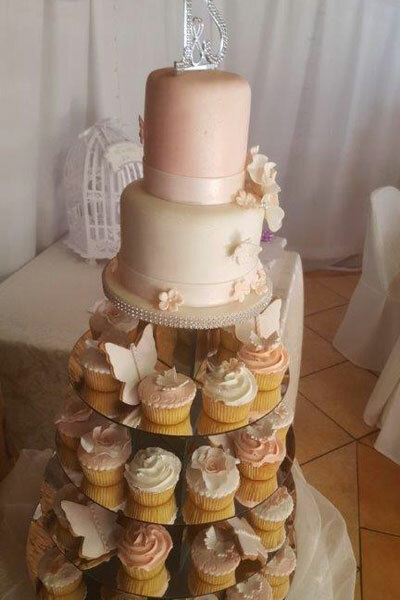 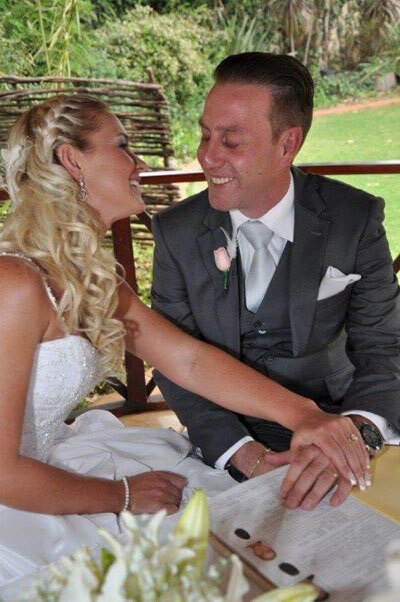 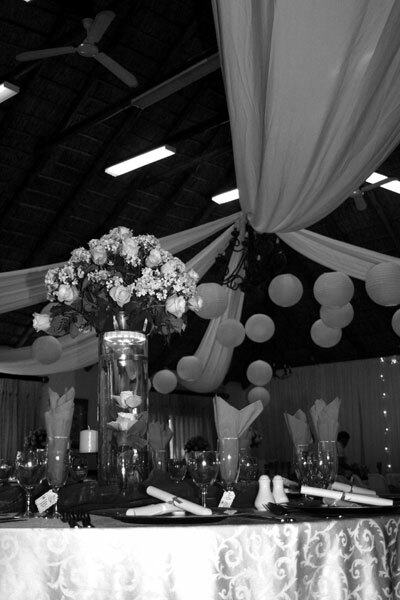 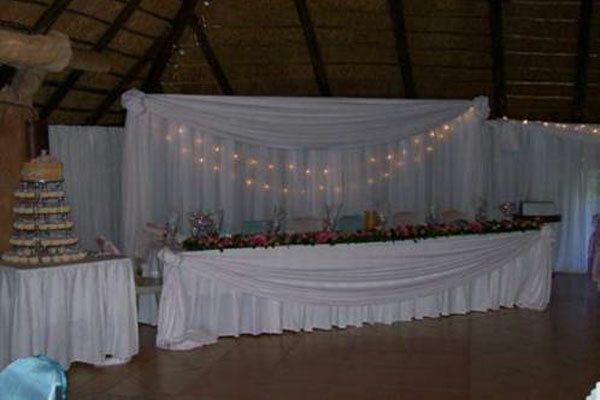 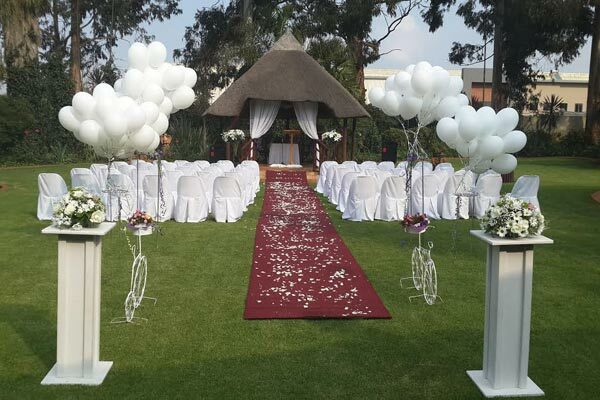 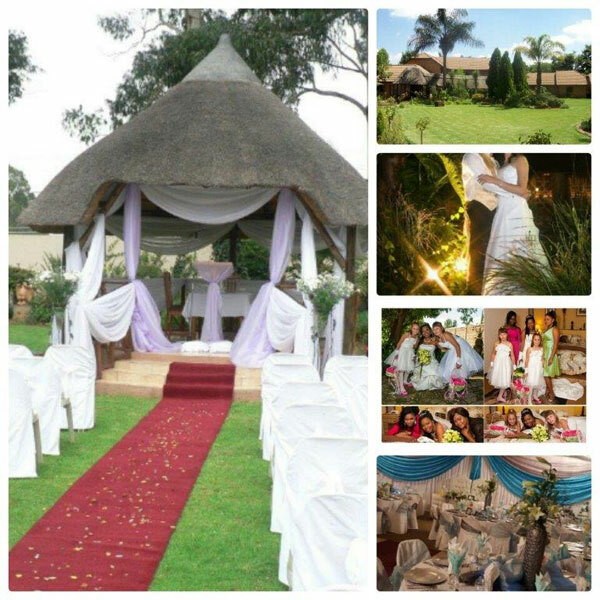 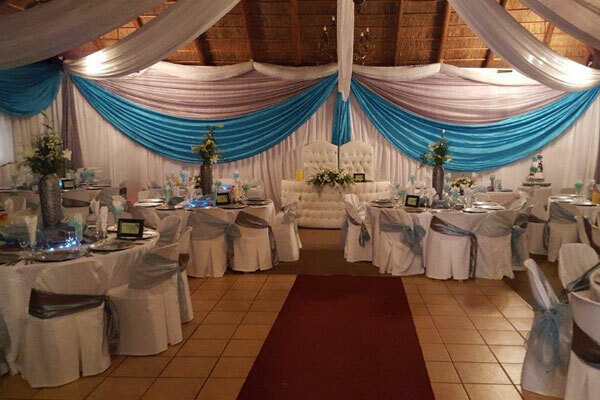 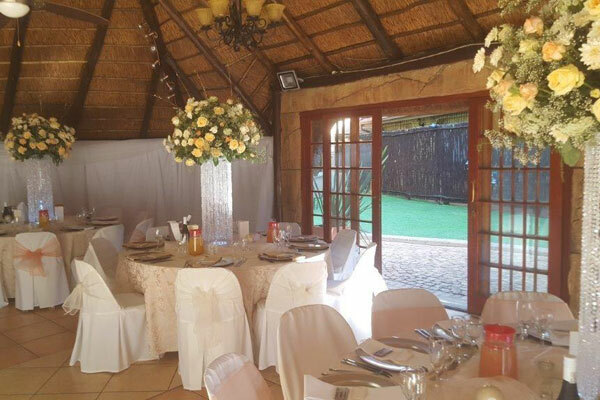 Our expertise will ensure a spectacular wedding day in our upmarket Four Star Graded Venue. 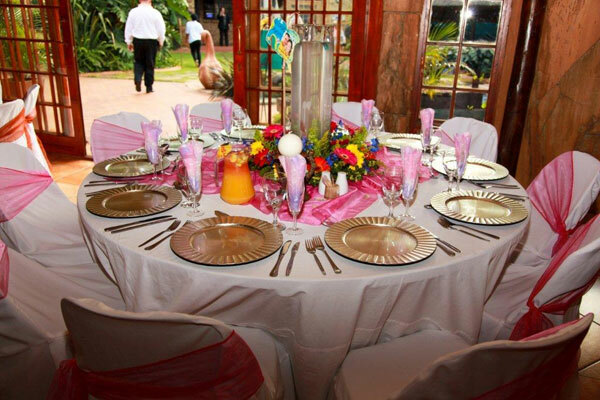 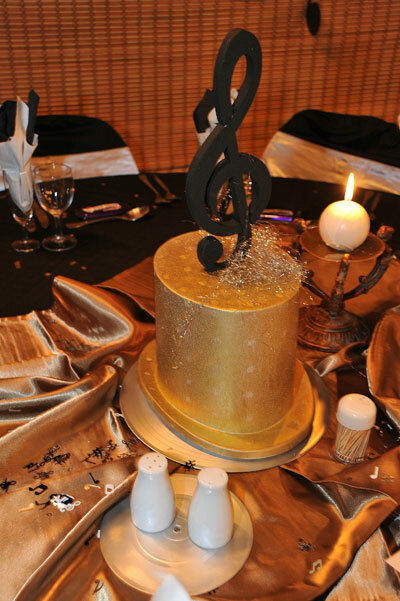 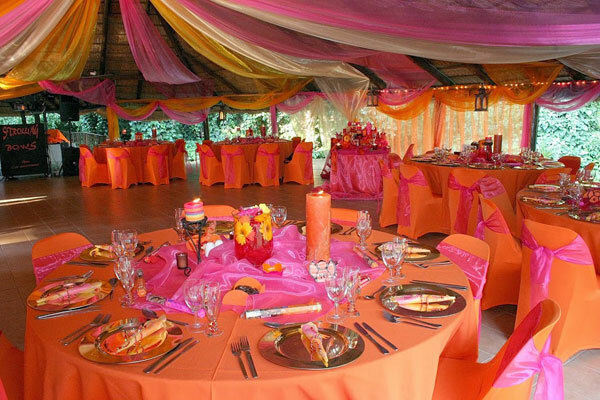 Drink Champagne in a fully set up function venue of choice, with your colour scheme and décor. 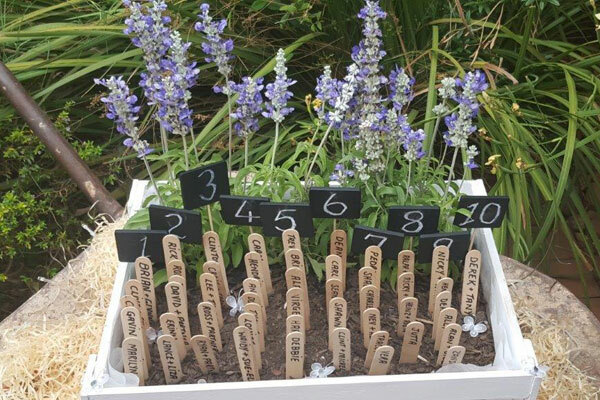 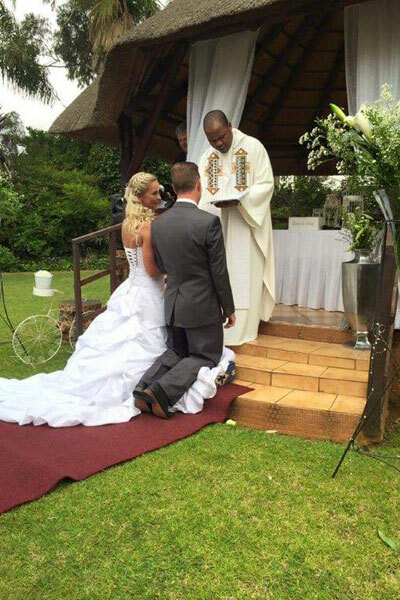 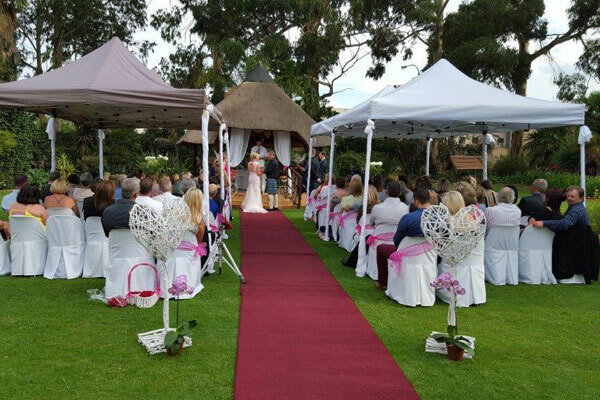 Exchange vows in the Garden and drink cocktails to celebrate this special event. 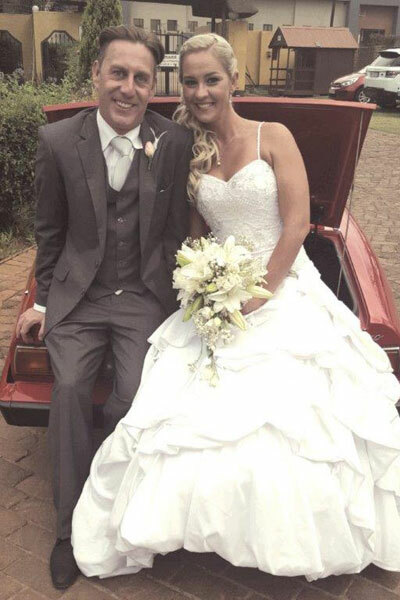 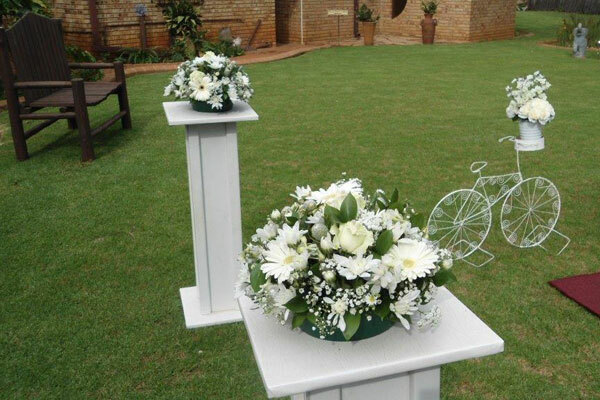 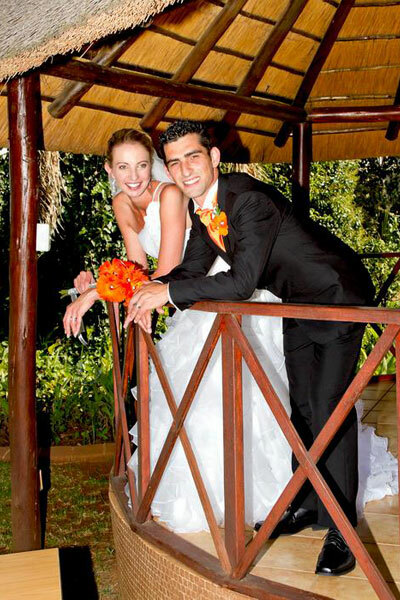 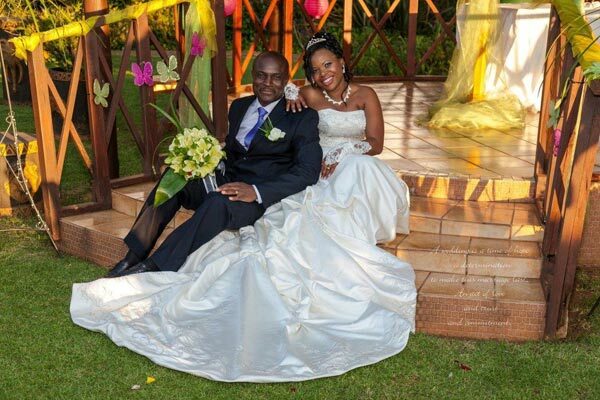 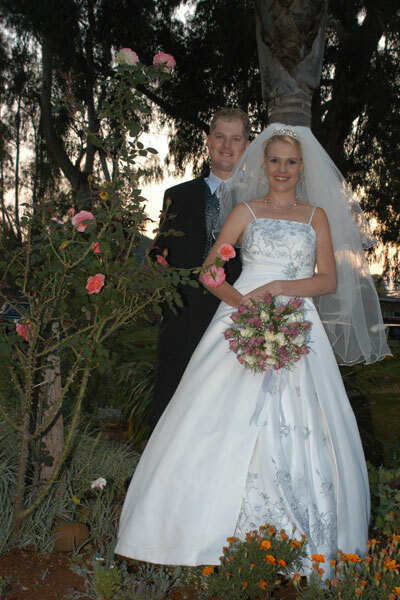 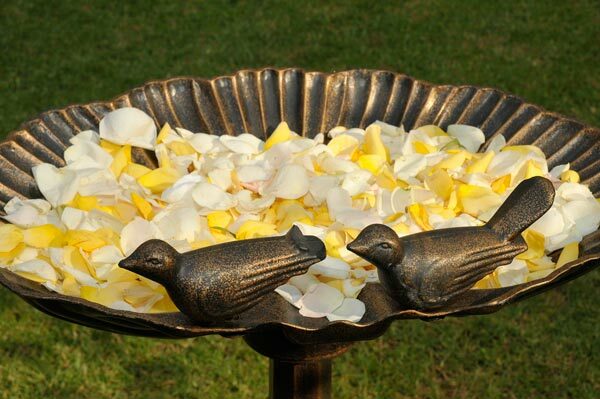 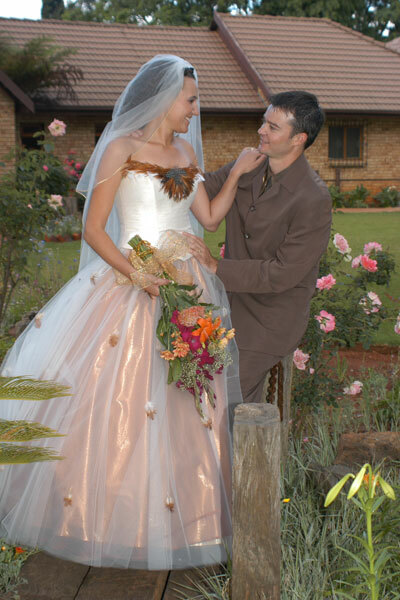 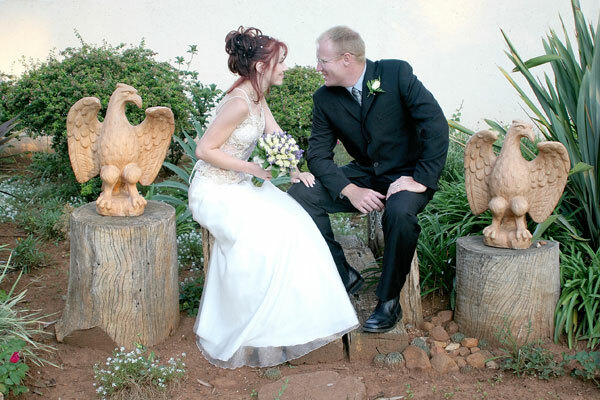 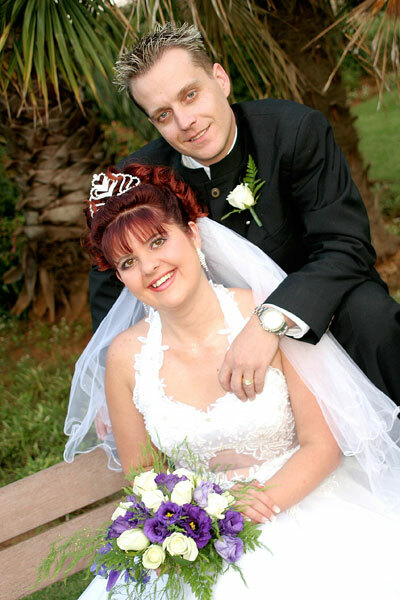 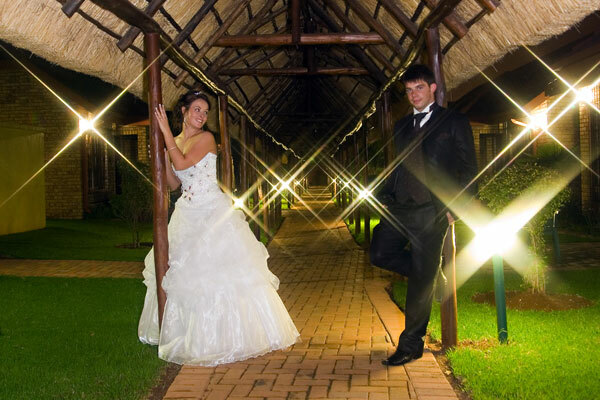 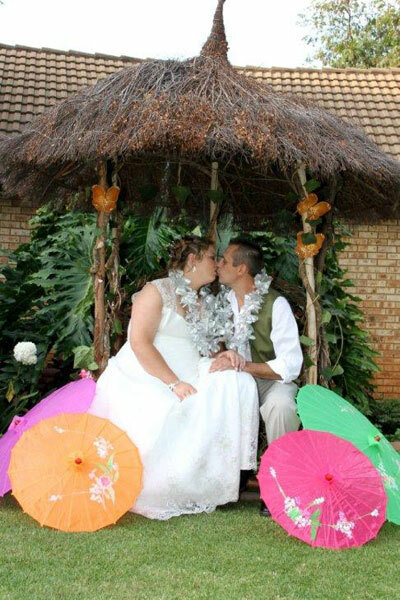 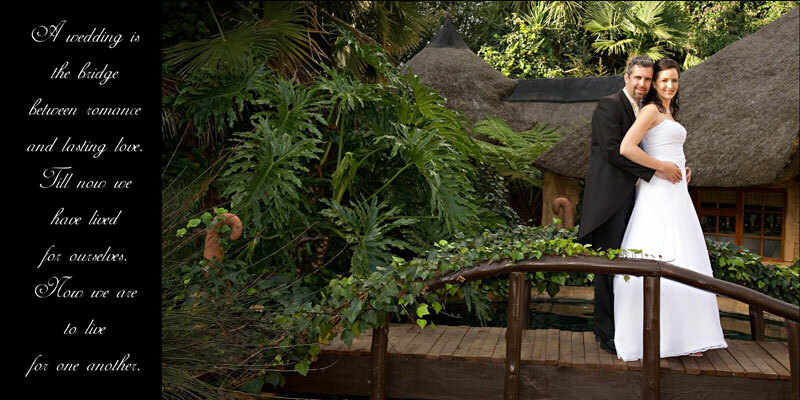 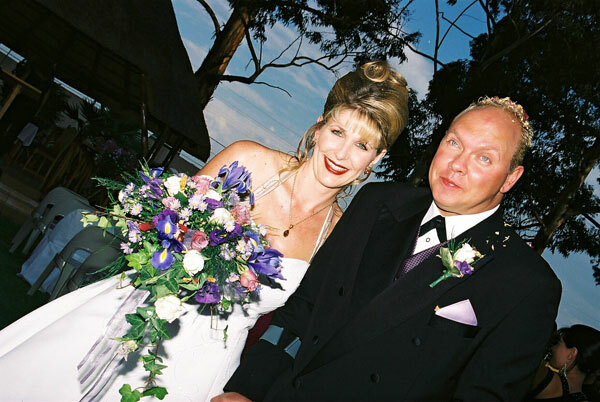 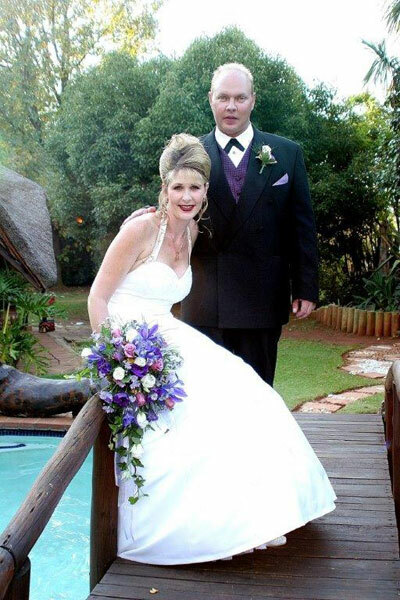 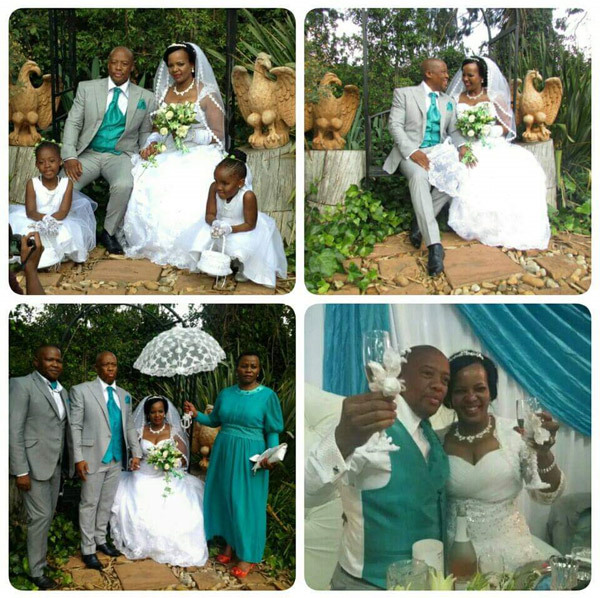 Excellent photographic memories are created in our landscaped gardens, set on a vast property, with borehole water. 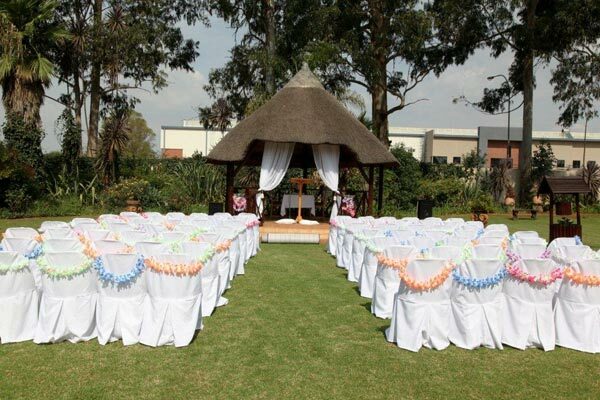 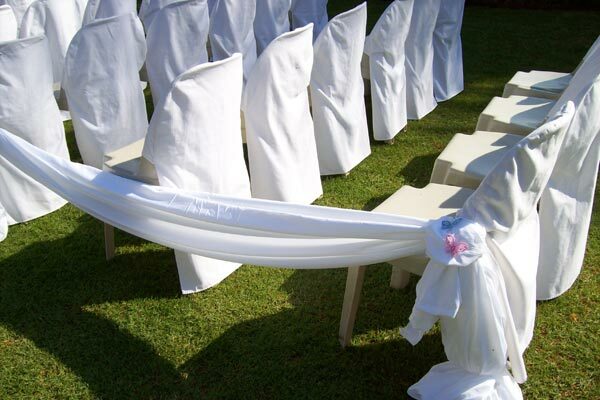 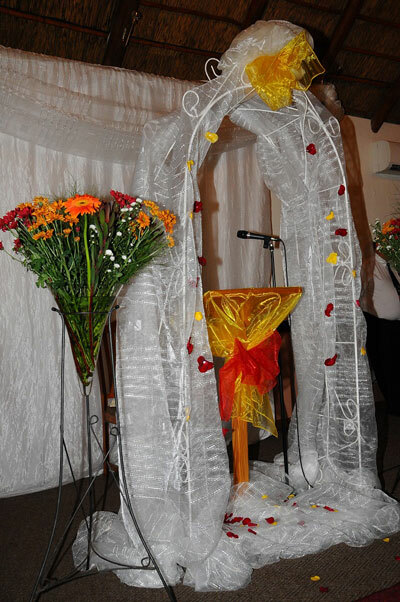 Set-up of Garden Chapel, with chairs, chair covers and sashes on chairs down the isle. 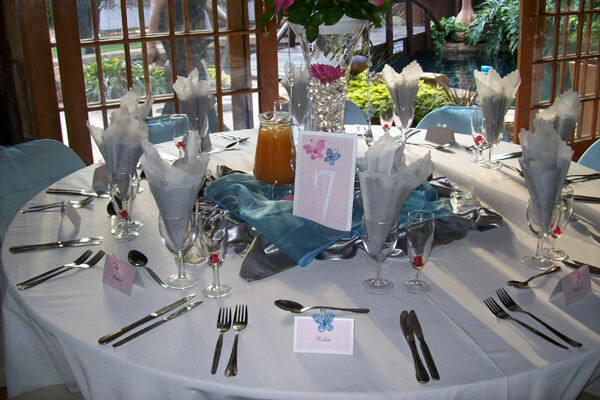 Complete the Function Request Form in order to determine a price. 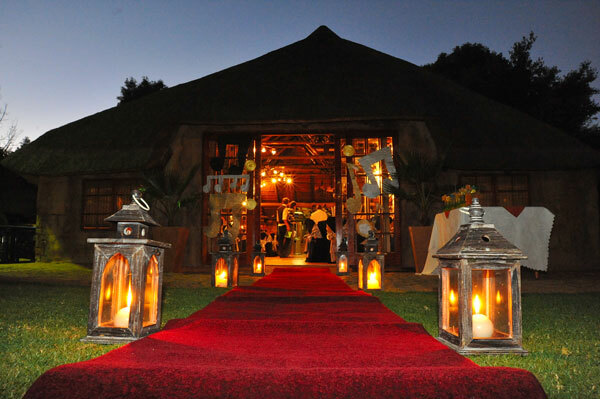 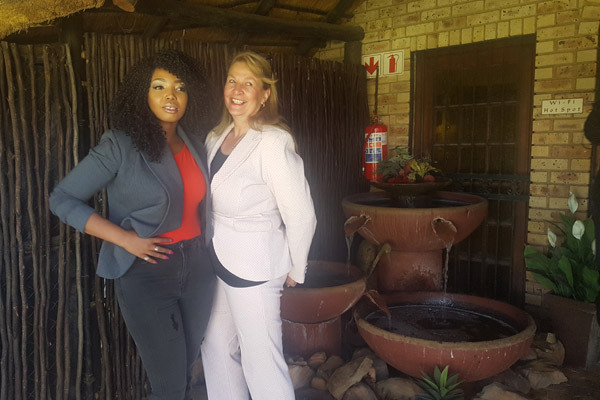 All images appearing on www.mannah.co.za web site, unless noted otherwise, are the exclusive property of The Mannah Executive Guest Lodge-Hotel Conference Centre and are protected under International Copyright laws. 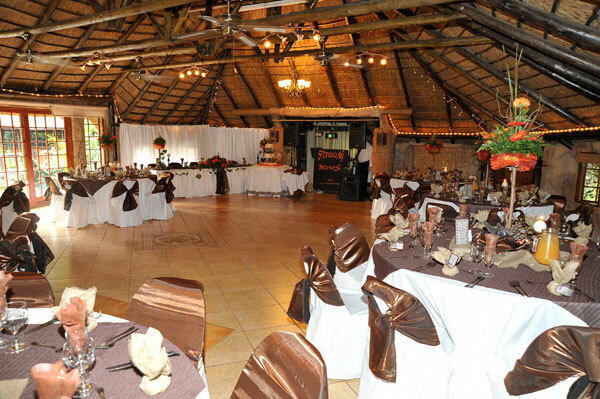 The images may not be reproduced, copied, transmitted or manipulated without the written permission of The Mannah Executive Guest Lodge-Hotel Conference Centre. 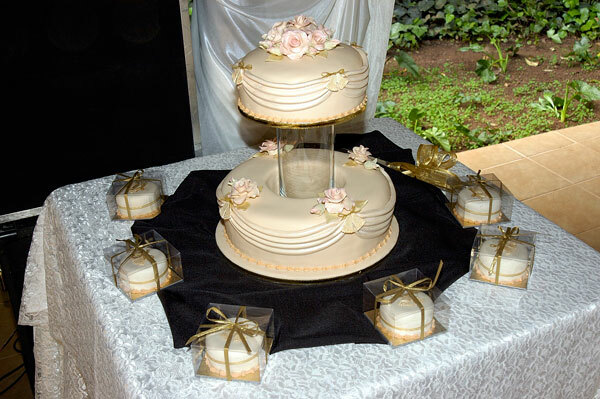 These copyright laws impose substantial penalties for infringement, and violators will be prosecuted to the full extent of the law.